Locked out of my Apartment? Is that what you are saying now? Being locked out of an apartment means you need to find away to get your door unlocked and get back inside as quick as possible. It does not matter if you need a Locksmith in the morning or the afternoon. People sometimes call us at work or when they are out shopping or on there way home. They know that they are locked out of there apartment but they carry on there normal day and get the door unlocked when they get home. They book our Lock service for a specific time in the day to ensure we arrive on time and they are not waiting around. If you lock yourself out of an apartment call us and we will unlock your door, in the meantime you can have a coffee or go shopping to pass the time while you wait for us to arrive. On apartments doors in most cases your are allowed to have one entrance set ( door knob) and one dead latch (latching lock like 001 Lockwood deadlatch or a whitco deadlatch). In some cases you are allowed to install a door viewer or peephole. The two lock hole sizes you are allowed on an apartment door are generally 32 mm hole and a 54 mm hole. Remember Apartment Locks must be fire rated. Speak with your strata manager, real estate agent, or land lord of what you are allowed to install. 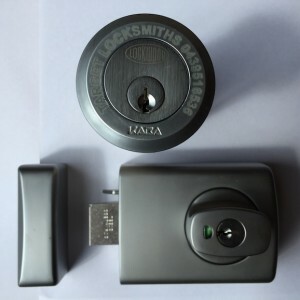 Locked out of your apartment door and need a locksmith to come and open the door. We carry all the tools to unlock your and pick your door lock open. I need to get inside my apartment as i lockled the keys inside the door. Fire rated Locks can be installed or opened on apartment doors. What to do when im locked out of my apartment? Im Locked out of my apartment and I need to get back inside the locked door. We recommend to call a Locksmith. Calling Target Locksmiths means you will save yourself money from damaged property and you wont have to wait around for hours to get back inside. Always make sure that the Locksmith that you choose is licensed and holds a security license. You need to make sure for your own safety and safety of your family that you are not letting strangers into your home.